Believe Dream Create with Maria: My Pink Stamper New Release Blog Hop! 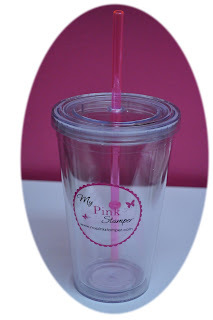 Welcome to the My Pink Stamper Blog Hop for May! If you have arrived from Karlee's Blog you are on the right track. If not, there is a list below and you can start back at the beginning. I am the last stop on the My Pink Stamper side of the Hop. The My Pink Stamper stamp collection will now have IMAGE stamps. This is a very exciting development for us here at My Pink Stamper. For me as a marker lover, it is even more exciting! 1. My Pink Stamper will have an exclusive IMAGE stamp set available in a KIT along with ProMarkers and Cardstock AND a My Pink Stamper Ink Pad!!! Here is the direct link to the FIRST kit which you can view now and will go up for sale at 12:00 PM Central Time today! Hurry...quantities are limited! Order today and get free priority shipping! 2. 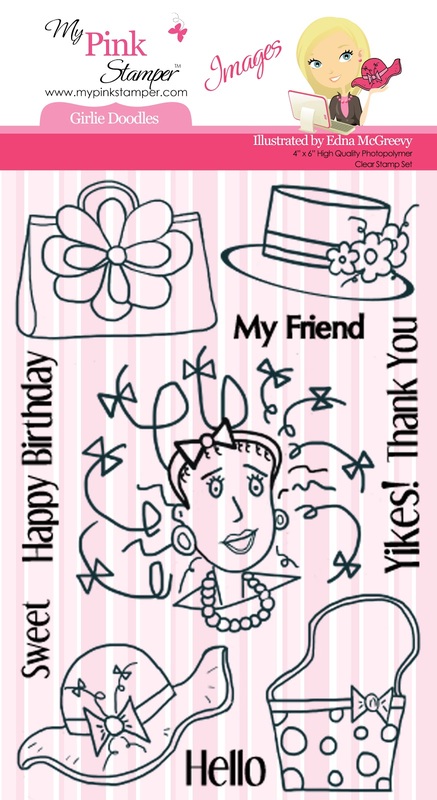 My Pink Stamper will also have a different IMAGE stamp set that can be purchased a la carte. The FIRST one is called Girlie Doodles. You can view it HERE now and it will go up for purchase at 12:00 PM Central Time. Hurry..quantities are limited! 3. My Pink Stamper has a new, limited edition logo tumbler available for purchase. PERFECT for the warm weather ahead to keep your drinks cool. You can view it now HERE and it will go up for sale at 12:00 PM Central Time today! Hurry...quantities are limited! For my project today, I used the My Pink Stamper Birthday Doodles Stamp Set that is exclusive to the Birthday Doodles Stamp Kit. 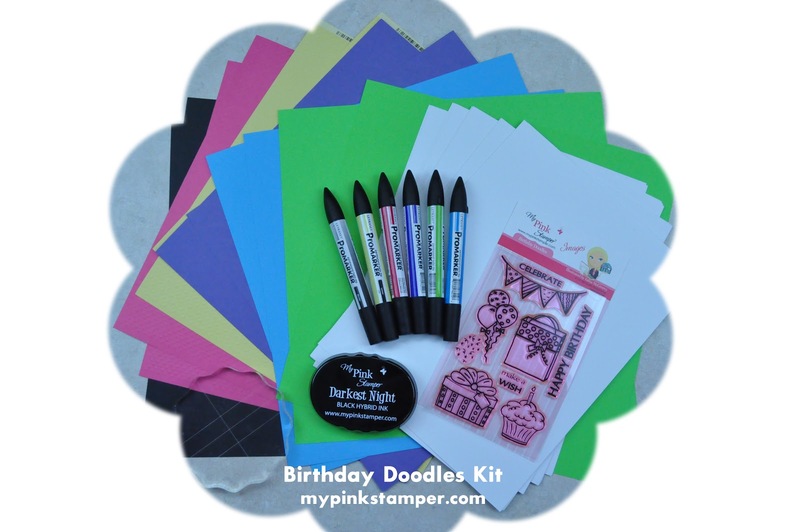 I hope you have enjoyed all the project's today from the My Pink Stamper Design Team. Now I'm going to send you back to Robyn's Blog (My Pink Stamper) to continue the fun there!!! One lucky winner will have a chance to win a free KIT!!! Cricut = Elegant Edges two frames welded together to make card base and frame. Very pretty card! I love the colors and the shape of the card! I love the way you colored the gift and balloons! you are skilled for sure! and CONGRATS on 24.5 years of marriage! that is awesome! Pretty shape card. I love how you used the multiple stamps to make one image. Very pretty card. I love the colors that you choose. everything fits together so perfectly!! I love this card and MPS kit. Thank you for sharing. Maria, I love this card! It's cute, and I wish I could shade like you do! I'm still learning. Thanks for sharing with us! 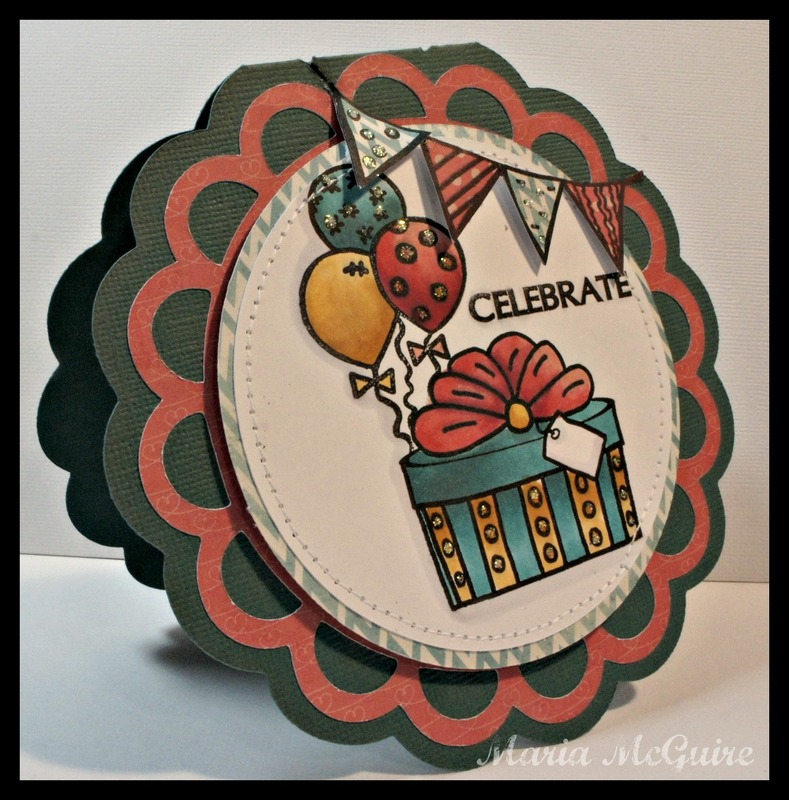 Love the scalloped shape of this card! Fabulous Card! !Love it!Love it!Love it!! 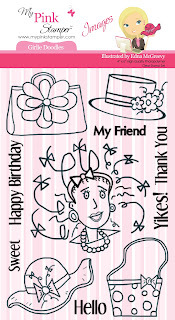 lovely card....you all are super lucky to get to "play" with all these fun products by Robyn! Love how the card pops against the dark green! Beautiful card Maria. Love the colors. This new MPS kit is so versatile, seems like the DT ladies each made something so different with the same stamps...great job! Can't wait for the Livestream. Cute card... Love the shape of the card and the shading of the pic... it pops off the card! Beautiful card Maria!!! I love all the colors you used on this card. Cute, so many ideas, thanks for sharing. What a pretty card! Great job! TFS! Love your scalloped card and the colors are fantastic. Your cards are always beautifully designed and professional-looking. Gorgeous work, Maria. I really like your card. The colors are really pretty and your shading looks great. Your card is so cute! I am loving the colors of the pens in the kit, so vibrant. Your card is so adorable Maria! Love love love it! WOW---now THAT'S coloring!!! 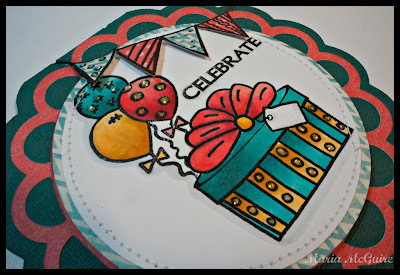 So pretty Maria, I love the colors you used and the shape you made your card! !